Step behind the scenes and see what’s happening with our Grant programs here! We will be updating this section with Grants news and highlighting certain grant projects here. Apply for a Partners in Conservation grant! Visit our PIC Grants page to learn more and get started! Are you considering applying for a Partners in Conservation (PIC) grant? Please note that EMSWCD is now using an online application system called ZoomGrants. To get started, please create an account and password on the EMSWCD ZoomGrants webpage. Please note the ZoomGrants portal will not be active until November 1st, when EMSWCD begins accepting applications. Apply on the EMSWCD ZoomGrants webpage Note: If you already have a ZoomGrants account from an application to Metro or another organization that uses ZoomGrants, you should enter your existing login information in the page linked above. All applications are due by 4:00 PM on December 14th, 2018. We are proud to announce the launch of a new long-term partnership with the Columbia Slough Watershed Council, the Johnson Creek Watershed Council, and the Sandy River Basin Watershed Council! 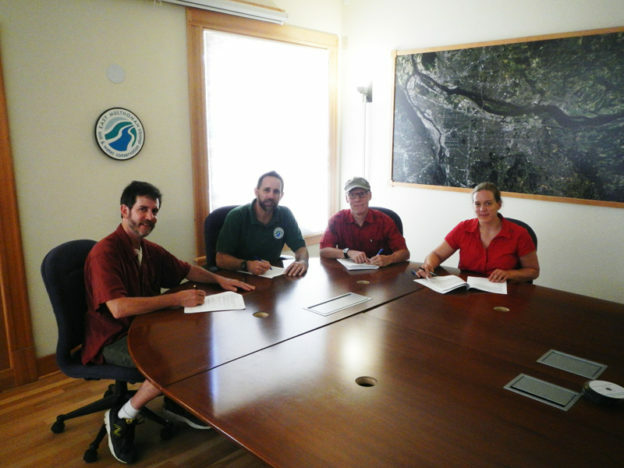 Under this five-year Strategic Partnership Agreement (SPA), we will work together with the watershed councils to plan for and implement joint conservation projects within our service area (all of Multnomah County east of the Willamette River). The partnership will include grant funding up to $1.5 million from EMSWCD to the watershed councils as well as joint fund-raising from other sources. Find out more about the partnership and initial project funding here. 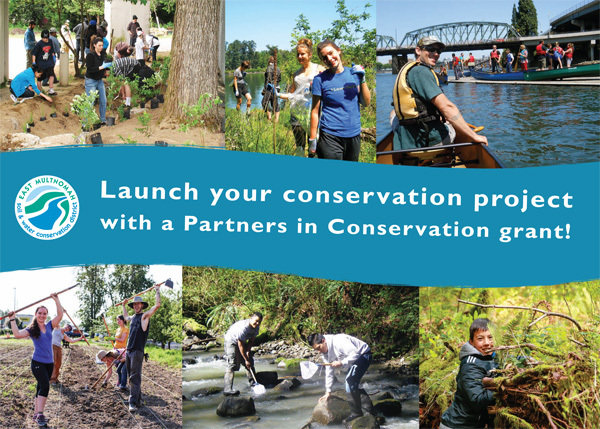 Launch your project with a Partners in Conservation grant! Is your organization looking for funding for a conservation project? You can apply for a Partners in Conservation (PIC) grant! PIC Grants: shorter term projects with a one year time frame, for a minimum grant award of $5,000 and a maximum of $60,000. PIC Plus Grants: projects with a time frame of two to three years, between $5,000 and $100,000 per year. Grant applications are due by December 15th this year; don’t delay! Application materials are now available. If you have questions about applying for a grant, please contact Suzanne Easton, EMSWCD Grants Manager, at suzanne@emswcd.org. You can also learn about our 2015 PIC grants awarded here. Join us to celebrate the official opening of Nadaka Nature Park & Garden in Gresham this Saturday, April 4th! The new park features community gardens, a nature-based play area and picnic shelter, as well as a 10-acre forest! You can meet Audubon Society of Portland's education birds, learn from Slough School, and help spread seeds on the new eco-lawn. A nature play expert from ONPLAY will also be on hand to demonstrate the ways the nature play area can be used, and there will be refreshments and fun activities for the whole family! Watch the video below to learn more, and read more after the break. Announcing our 2014 Partners in Conservation Grants! 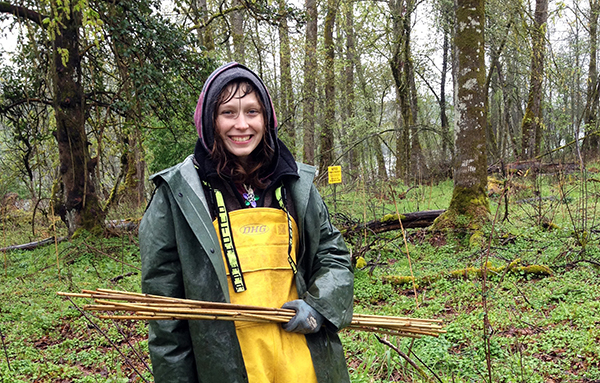 East Multnomah Soil and Water Conservation District announces its 2014 Partners in Conservation (PIC) grants totaling $862,000 awarded to conservation and environmental education projects in the District’s boundaries (all of Multnomah County east of the Willamette River). 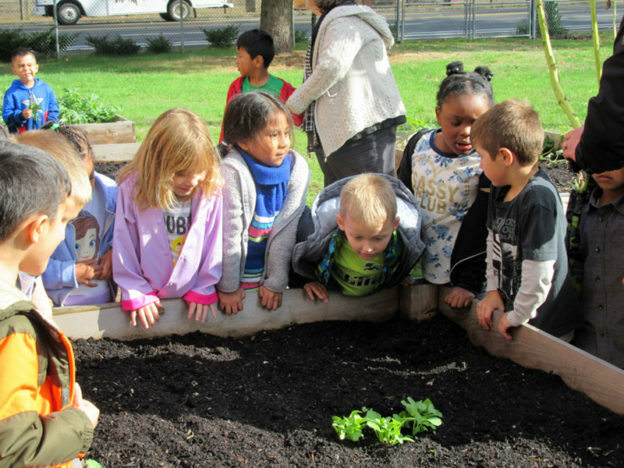 The District received 39 PIC applications this year, representing projects in each of its grant program areas: restoration, sustainable agriculture, project design/engineering, pollution prevention, stormwater management, monitoring, and environmental education. The PIC grant program funds projects on an annual basis through a competitive process that seeks to support those efforts most closely aligned with the District’s strategic priorities. This year, the EMSWCD Board of Directors awarded 27 grants, including three multi-year PIC Plus grants, which are multi-stakeholder initiatives that demonstrate benefits from committed multi-year support. 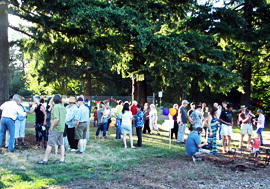 Projects vary considerably in scope, from restoring large acreages of habitat in the Johnson Creek watershed to community gardening with immigrant populations in East Portland. “The quality and diversity of projects this year is incredible. These grants allow us to reach all corners of the District, supporting the great work of these organizations while also leveraging other funding,” said Jay Udelhoven, Executive Director of EMSWCD. One of our favorite times in the EMSWCD Grants office are the days that final reports come in. As much as we’d like to visit every project we fund, the day to day responsibilities of running our grants program keep us in the office most of the time. That is why we are so thrilled to read your project completion reports after your project is over–it is the next best thing to being there, seeing the impact your project had on a habitat, stream, or a child’s education in conservation. Final reports also help us understand if your project was a success–did you meet your stated objectives? If not, why? What can other organizations learn from your successes or challenges? Today, we received a SPACE Grant final report from the Sauvie Island Center. Our board approved a $1500 SPACE grant in March to help fund 25 students from the Peninsula Community Center to attend a week of Farm Camp. They are excited to report that 26 kids from North Portland neighborhoods spent the week learning about wildlife and the food web, the role pollinators play in our food supply, and harvesting vegetables to cook and eat for lunch. While Sauvie Island isn’t within our District’s Boundaries, it is the closest farmland to North Portland. The Sauvie Island Center is committed to increasing food, farm and environmental literacy in the community by providing hands-on educational field trips for elementary school children. 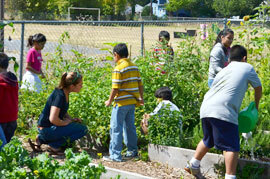 Often, it is the first opportunity children have to visit a real, working farm so close to the city where they live. Take a look at their video to see more about what they do. 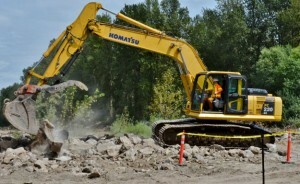 On August 15, 2013, the first scoop of a 1930s era dam was removed from the Sandy River Delta, representing a decade of planning to restore the original flow into the Columbia. EMSWCD grants staff attended the ceremony sponsored by the Bonneville Power Administration and the Army Corps of Engineers to witness the first step of many in this complex restoration project. Sandy River Basin Watershed Council, another partner involved in Delta’s restoration, will begin a multi-year restoration of the Toucan Wing of the Delta with funding from EMSWCD’s Partners in Conservation grant program. 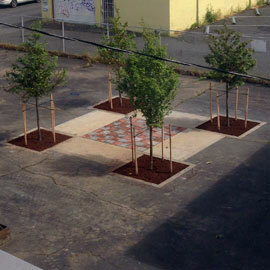 Read more about it at in The Gresham Outlook.